Using your local SIM card in the United States can get very expensive very quickly when traveling from other countries. Roaming charges are just out of this world, and have — in the past — costed travelers thousands of dollars in unnecessary costs. Is there any way to avoid this when you’re traveling throughout the US? While you might not have as nearly as many options as when traveling throughout Europe, that are still a handful of options available to you within the States. To save money and enjoy a better quality of service while traveling the US, a US-based prepaid SIM card is definitely the way to go. If you follow along below, we’ll show you seven of the best prepaid SIM cards you can pick up for your US travels, but keep in mind, many of these carriers offer cost effective plans as well! Let’s dive right in. Cricket comes up as our number one choice on our countdown. This is a prepaid SIM kit that comes in three different cutout sizes — you have options for Standard, Micro, and Nano SIM sizes. The only thing that’s required for this SIM to work is a GSM compatible smartphone that isn’t locked to another carrier. The nice thing about this choice from Cricket is that there are no annual contracts, no monthly taxes, and no activation fees. On top of that, you’re getting this SIM card from a carrier that offers nationwide 4G LTE coverage. You can reload your SIM with data whenever you need it as well — there’s no expiry date on it, so you can save it for your next trip across the US! 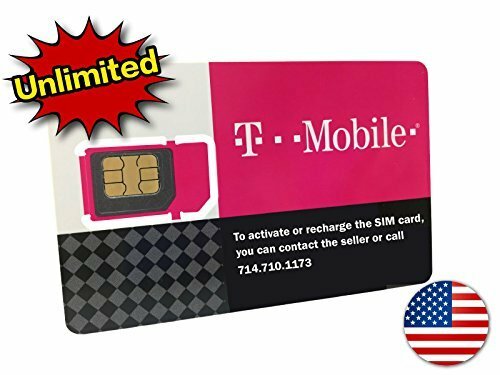 T-Mobile’s prepaid SIM card is one of the cheaper alternatives, and gives you unlimited high-speed data, calls, and text messages on T-Mobile’s network. The data is actually 4G LTE, too! T-Mobile actually gives you a decent amount of high-speed data with your phone, but will slow you down when you use too much. The SIM card is meant for cell phones only, which means it won’t work on mobile WiFi Hotspots or Pocket WiFi. It’s worth noting that your smartphone needs to support GSM networks, as T-Mobile is not a CDMA carrier. The SIM card is a nano-SIM, so you’ll need to make sure that your phone supports that size. Just keep in mind that it may take T-Mobile up to 24 hours to activate it, so don’t buy it at the very last minute. 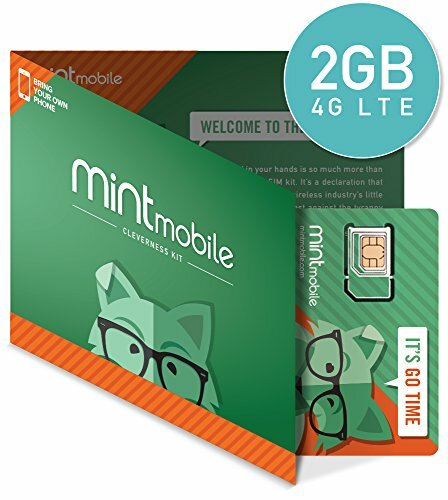 This prepaid SIM card from Mint Mobile is available with three different mobile data allocations: 2 GB of 4G LTE data for $45, 5 GB for $60, and 10 GB for $75. 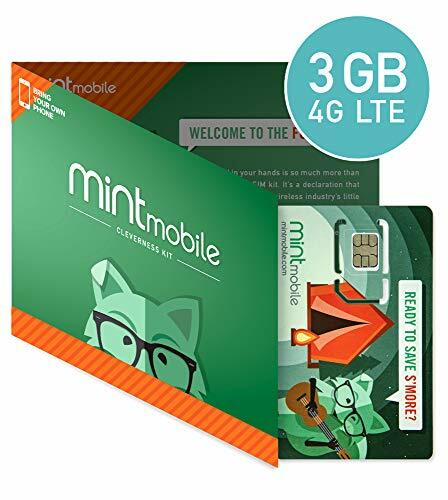 Besides mobile data, all three versions of Mint Mobile’s SIM card also come with unlimited talk and text to take care of all your communications needs. Mint Mobile gives its customers a 7-day money-back guarantee, so you can get your money back in case the SIM card doesn’t work for you. AT&T has pretty good options for traveling within the US. While they don’t offer “unlimited” SIM cards anymore, they do offer a prepaid SIM kit through their GoPhone program. This SIM kit requires that you already have an unlocked phone that can work on a GSM network. It does come in three different cutout sizes — Standard, Micro, and Nano, so it’s fairly versatile as far as your needs go. It’s worth noting that you’ll have to work out your plan with AT&T itself. 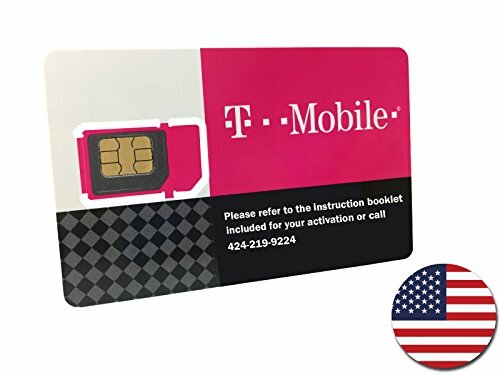 This one is a SIM card only, and doesn’t come with a plan straight out of the box; however, this SIM card will work with both AT&T Prepaid and AT&T Postpaid. The only thing that this SIM card won’t support is phones that are exclusively operating on 2G radios. If you don’t want the fast 4G LTE speeds that some of the larger US carriers offer, Roam Mobility might be a better option for you. Roam Mobility offers plans with unlimited talk, text, and data. You can choose to get a plan just for the day, or for the whole month — no contracts required! Roam Mobilty makes it easy to top up your plan whenever you need service in the US. There’s no expiration on it either, allowing you to save and reuse the SIM for future trips across the US. Roam Mobility offers this in three pre-cut sizes for all different types of smartphones — you can use it Standard, Micro, and Nano SIM sizes. Keep in mind that you’ll need to make sure your phone uses GSM radios, and has been unlocked by your carrier. 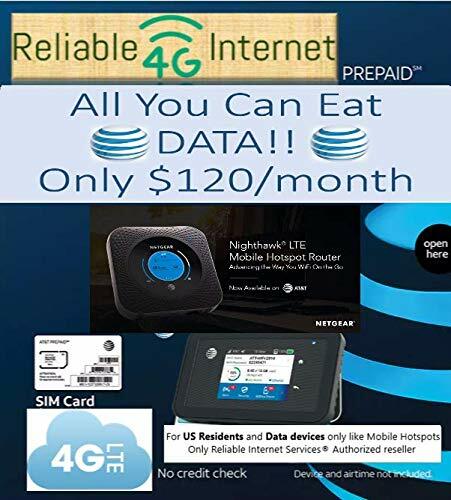 Ting is a popular mobile virtual network operator and internet service provider that provides cellular service in the United States using Sprint’s CDMA, EV-DO 3G, and 4G LTE nationwide network as well as GSM service via the T-Mobile network. Its prepaid SIM card fits all smartphones and charges users only for the minutes and data they actually use. 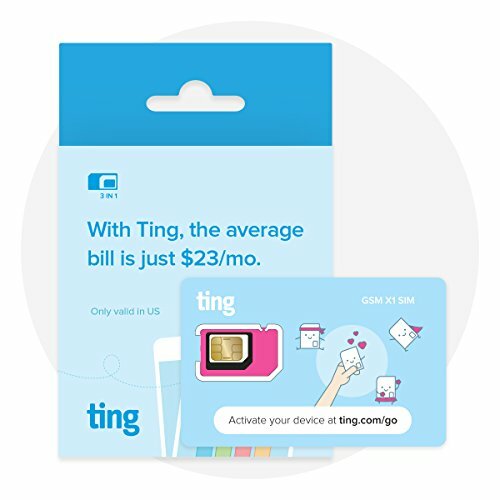 Ting’s customers pay on average only $23 per phone despite using as many minutes, sending as many text messages, and downloading as many files as they need. You’ve no doubt already heard some excellent things about Verizon’s nationwide 4G LTE coverage. They have some excellent data speeds, and especially in rural areas, which is great for traveling across the US. That said, you’ll definitely want to pick up a Verizon Prepaid SIM Kit for your US travels. You’ll enjoy unlimited talk and text on their network, but will have to pick up a plan specifically for 4G LTE data use. It’s a triple-cut SIM, so you have Standard, Micro, and Nano size options. The other thing you’ll need is an unlocked device compatible with the frequency bands that Verizon operates off of, and then you’re good to go! As you can see, there are a lot of excellent choices for SIM cards for traveling across the US. These will be way cheaper than simply eating the roaming charges that your carrier back home would charge you. Which one are you picking up?